Two quest chains can be undertaken. 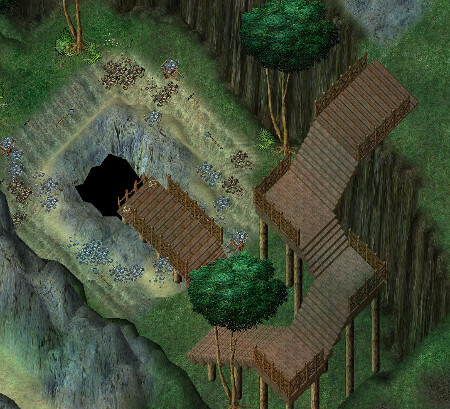 One by the supporters of the Eodon tribes and Britannians and the other by the supporters of the Barrab tribe and Mymidex, but the quests are only given to those who have been victorious in the Mymidex Pits. 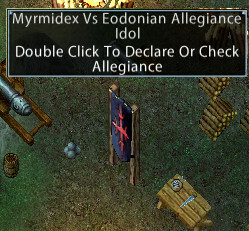 Declare your loyalty by visiting the allegiance idols. 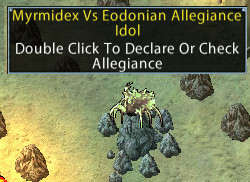 Double click the banner which is the Alliance idol, then enter the pits via the excavation site West of Sir Geoffrey’s camp. 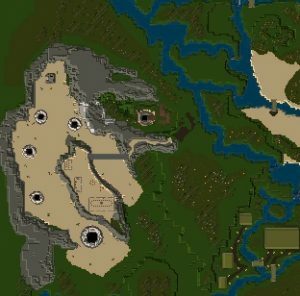 The camp is located North West of the Kurak Village and East of the Desert surrounding the Barrab’s plateau. 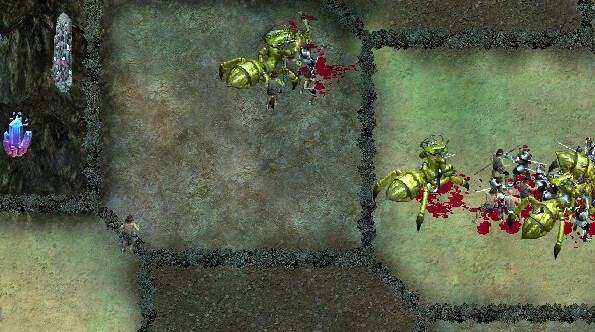 Your targets are the Barrab warriors and mages, the Myrmidex drones and the Myrmidex warriors. Britannians and all other tribesmen are on your side. Don’t kill them. Push the opposing team’s front line back to win the battle before you can undertake the quest chain ‘Exterminating the Infestations‘. 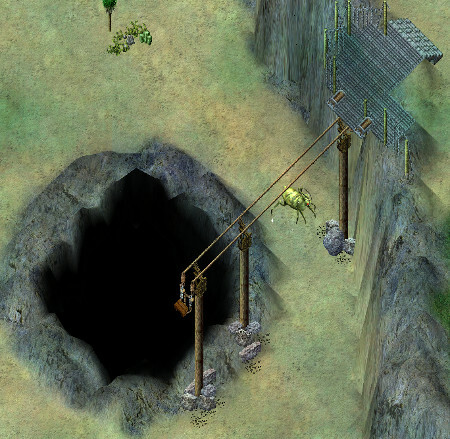 Double click the myrmidex idol, then enter the pits via the lift platform in the Southern portion of the Barrab Village.